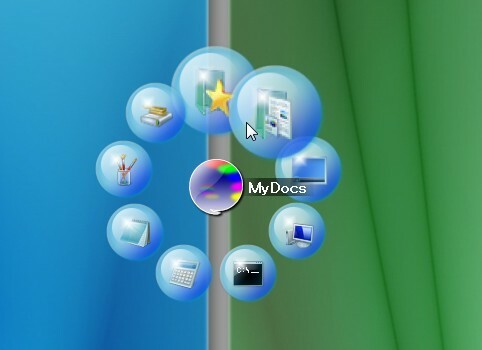 Description: It is a kind of Dock program, that enables users to organize their shortcuts, programs and running tasks into an attractive and fun animated circle-dock. It can appears anywhere on desktop, just drawing a circle with mouse cursor or assigning hotkeys. You can also add icons with the drag&drop feature.